There's nothing better than a positive outlook on life! To teach a child to find gladness in every situation should be the goal of each parent, teacher, and friend. 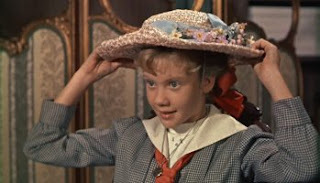 How different our world would be if raising "POLLYANNA" children was an adult concerted effort in our culture! I believe we would see improvement in schools and neighborhoods. Child play areas would be safer and there would be a drop in crime, drugs, and a huge decline in gangs! Rather than "what's in it for me? ", we would again enjoy the innocent gleam in bright expectant eyes reminding us of that adorable "loving and unselfish attitude that sees good in people, circumstances, and even disappointments"! May you find at least one person today that gives you this smile of goodness and peace!